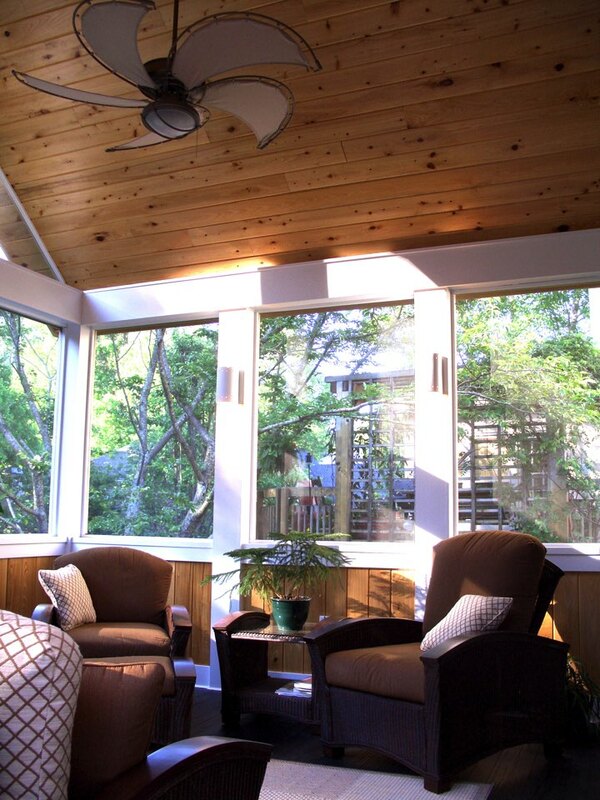 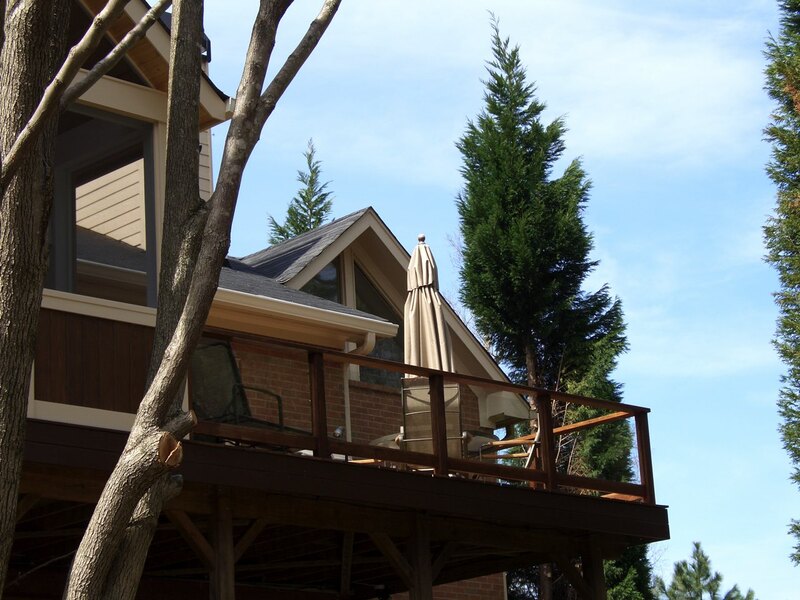 The original deck at this North Atlanta home was long, narrow and uninspiring to the clients. 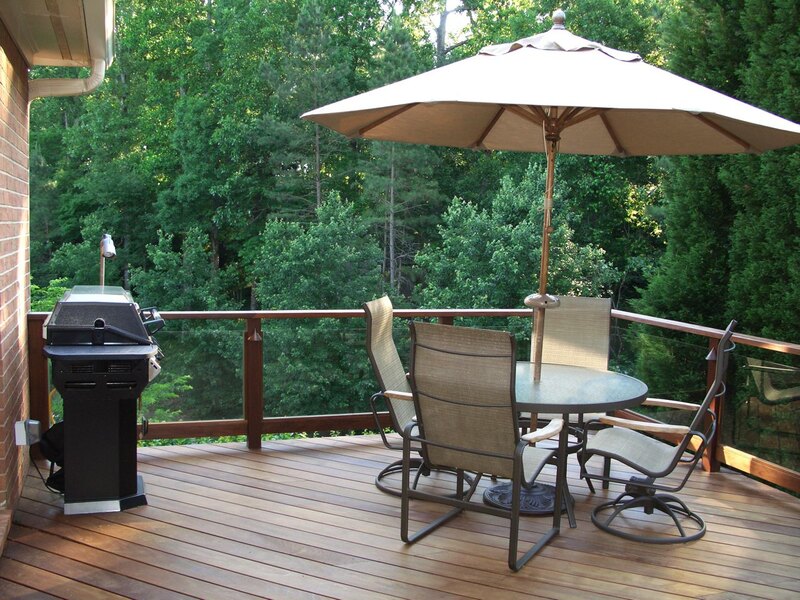 They wanted to upgrade their aging deck and create an outdoor living space that was in keeping with the style of their home and aesthetic preferences. 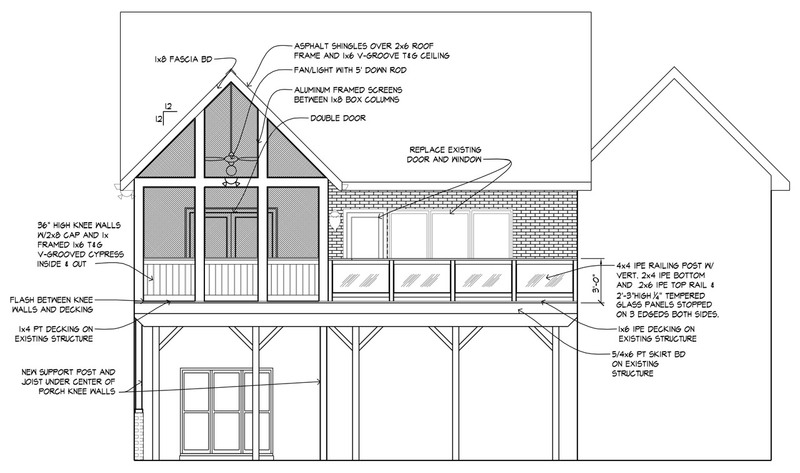 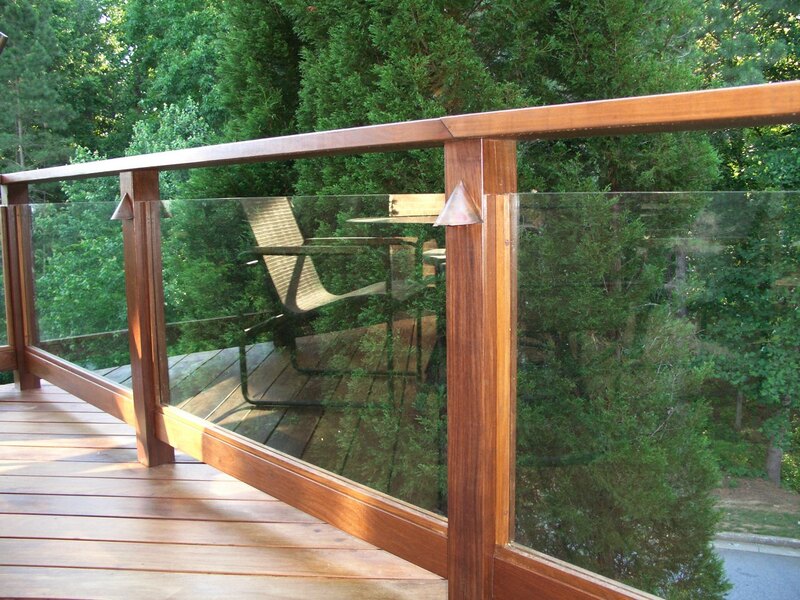 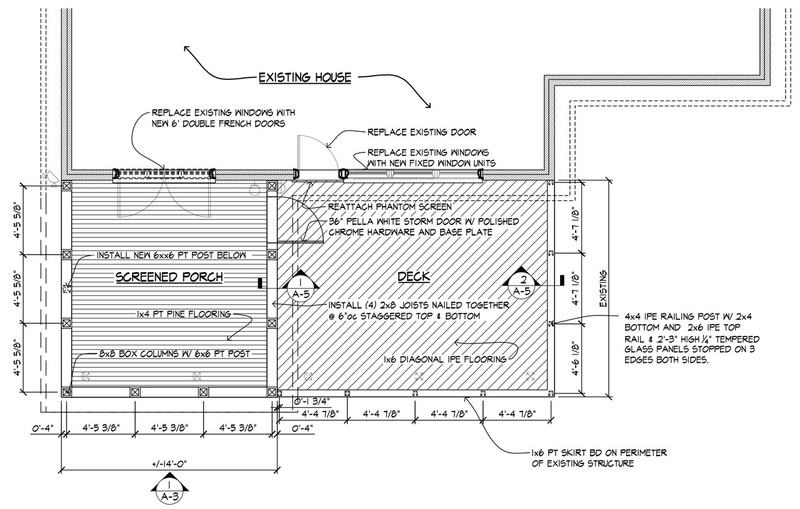 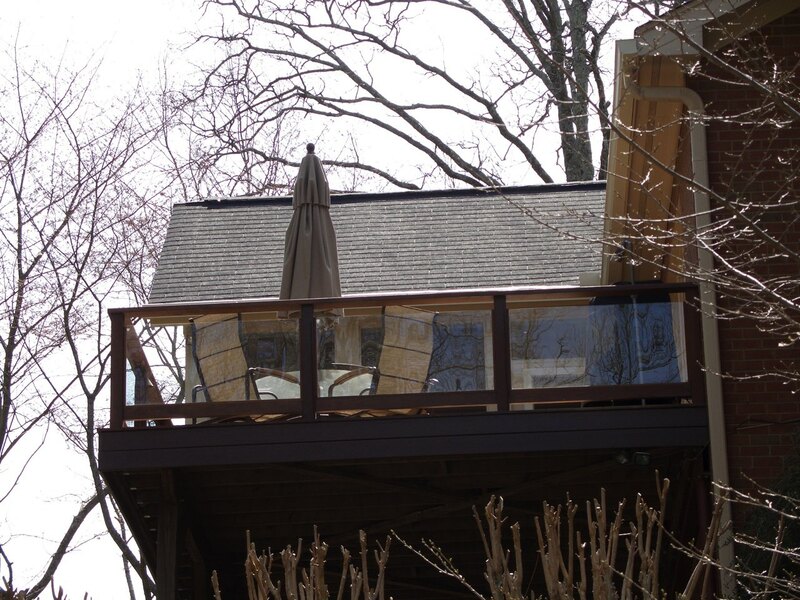 This was part of a deck and screened porch renovation project. 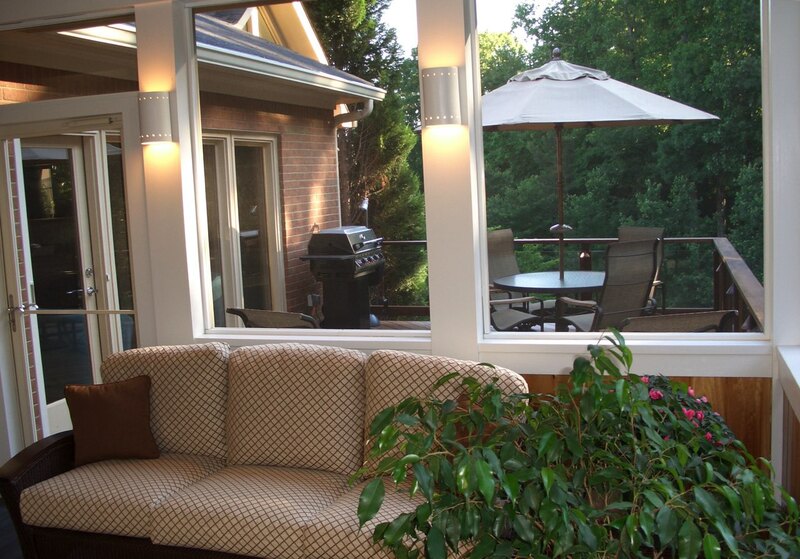 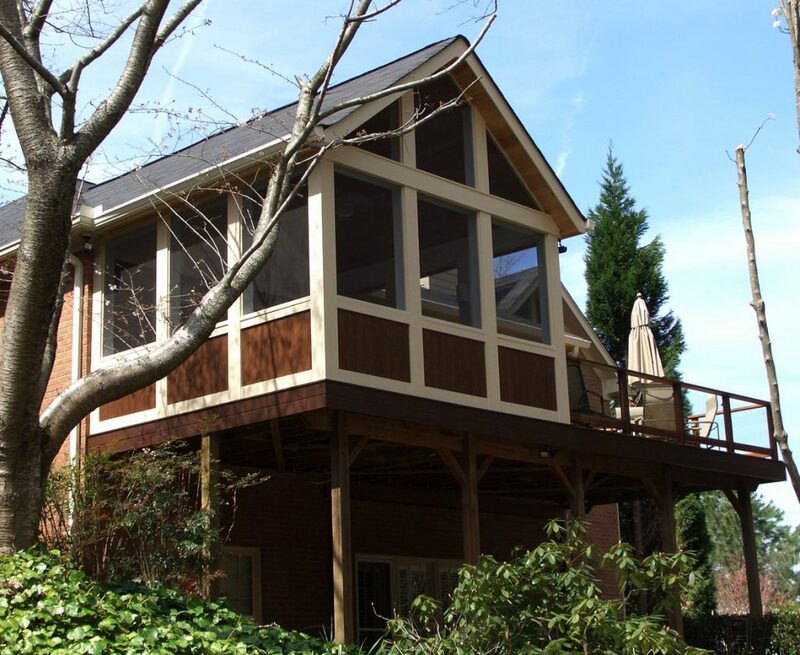 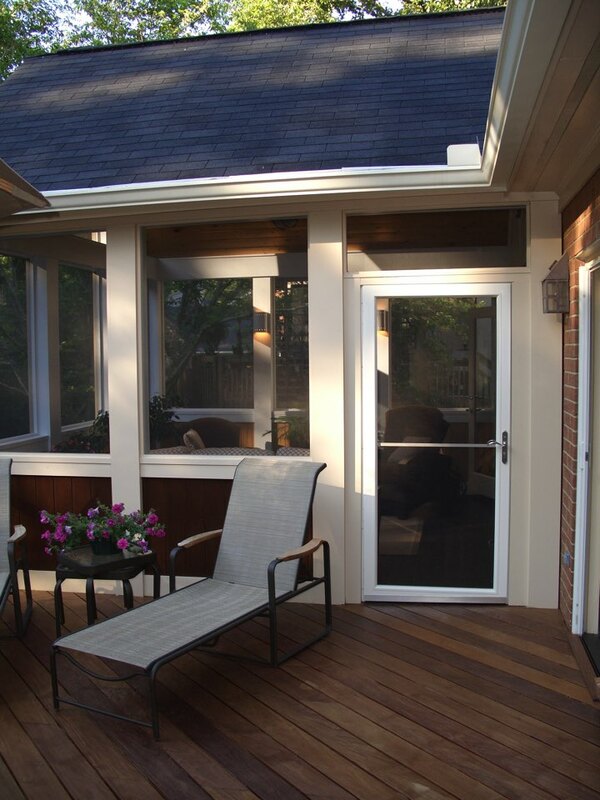 Half of the original deck was converted into a screened porch, while the other half remained an open deck. 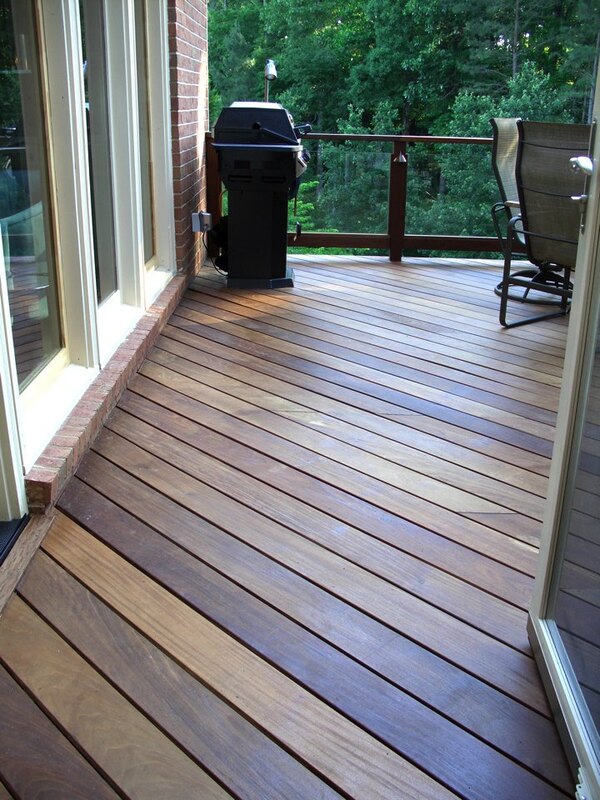 Ipé was the material of choice for the decking and railings due to its deep, rich coloring and ability to weather the elements in Atlanta. 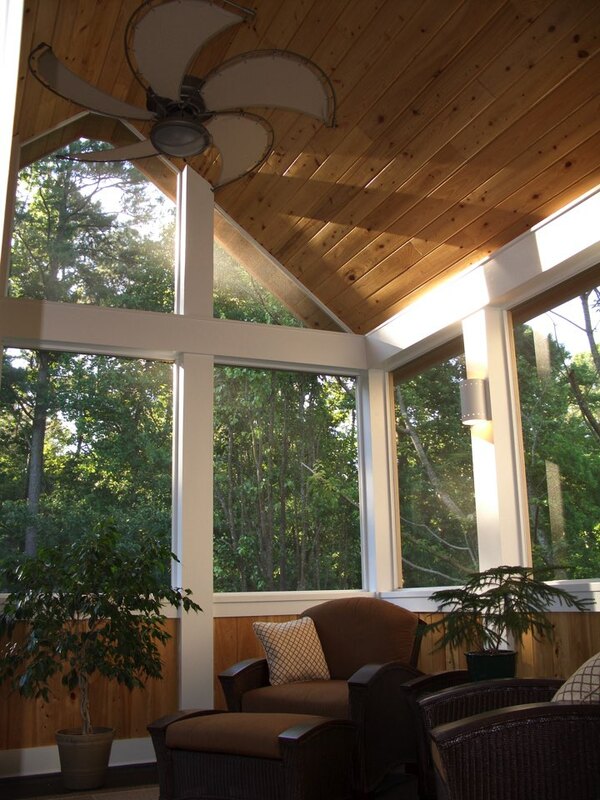 Glass panels provide unimpeded views of the background beyond, and help expand the space visually for this Brookhaven home.